upon volunteer effort, and in no other country have citizens accepted so universally the idea that volunteer service is a requirement of good citizenship. Since most Americans accept this principle, and since there is no shortage of good causes to serve, each of us must make a choice. Scouting thrives because of its volunteers and could not exist without them. The question is, why should you choose Scouting for your volunteer service? Perhaps these questions will help you decide. Do you wish to make a difference with your life? Most of us do. Scouting’s volunteers believe they are making a difference in the lives of youth. Do you care about children and young people? If you care, we are for you and you are for us. find volunteer service in Scouting very satisfying. One of the best ways to have a hand in shaping the future is to help young people who will ultimately own it and run it. Do you care about the principles of the Boy Scouts of America? If you believe they are worth strengthening and spreading, then Scouting is a cause worth your gift of time. Do you enjoy relationships with spirited people? If so, come on in! Scouting volunteers all serve a common cause, and it shows in our relationships with each other. We know why we are here, and we are enthusiastic about what we are doing. One of the great ways to serve youth through Scouting is to work as a district volunteer. success of Scouting units within the district’s territory. is more and more youth members receiving a better and better program. 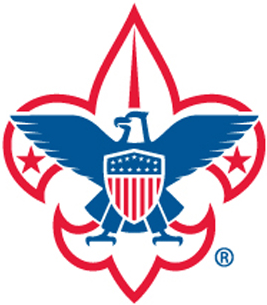 If you think you have skills that the Powder Mill District can use or believe that you can help make a difference to scouting in our area, then contact Nick Henry to discuss your interest.